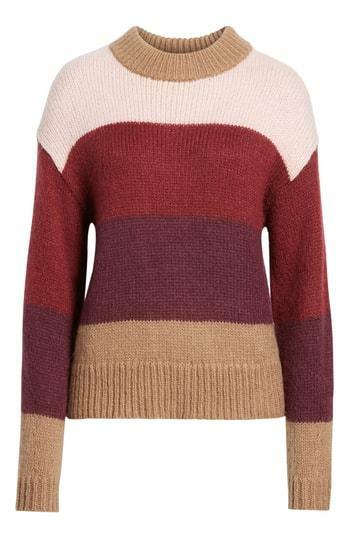 Color-block stripes stand out on a cozy knit sweater fashioned with a chunky ribbed collar, hem and cuffs. Style Name: Rebecca Minkoff Kendall Stripe Sweater. Style Number: 5714266. Available in stores.